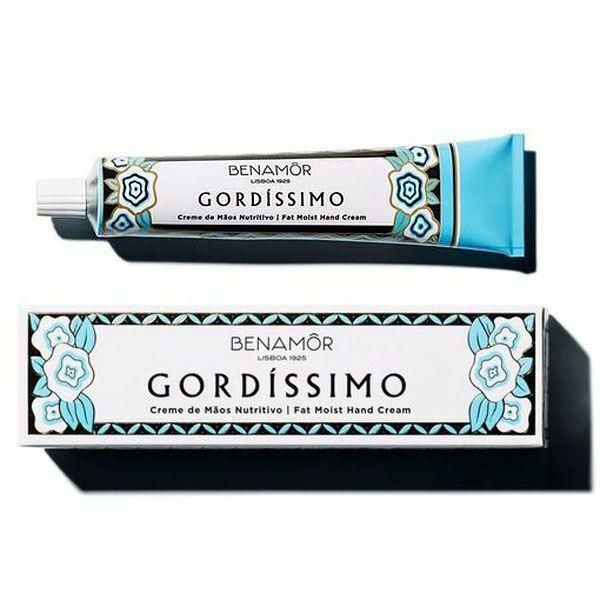 Gordíssimo’s Hand Cream, is rich and generous. It's packed with goodness, just like the original. With shea butter, vegetable paraffin and beeswax at their core, they nourish instantly all body parts craving hydration. Your skin is visibly plumper and more moisturized. Aqua (Water), Butyrospermum Parkii (Shea Butter), Dimethicone, Glycerin, Glyceryl Stearate Citrate, Prunius Amygdalus Dulcis (Sweet Almond) Oil, Glyceryl Stearate, PEG-100 Stearate, Cocos Nucifera (Coconut) Oil, Plukenetia Volubilis Seed Oil, Ceteareth-12, Ceteareth-20, Cetryl Alcohol, Xylitol, Polyacrylamide, Phenoxyethanol, C13-14 Isoparafin, Imidazolidinyl Urea, Disodium EDTA, Parfum (Fragrance), Laureth-7, Ethylexylglycerin, Socium Hydroxide, Benzyl Alcohol, Benzyl Benzoate, Coumarin, Hexyl Cinnamal, Linalool.